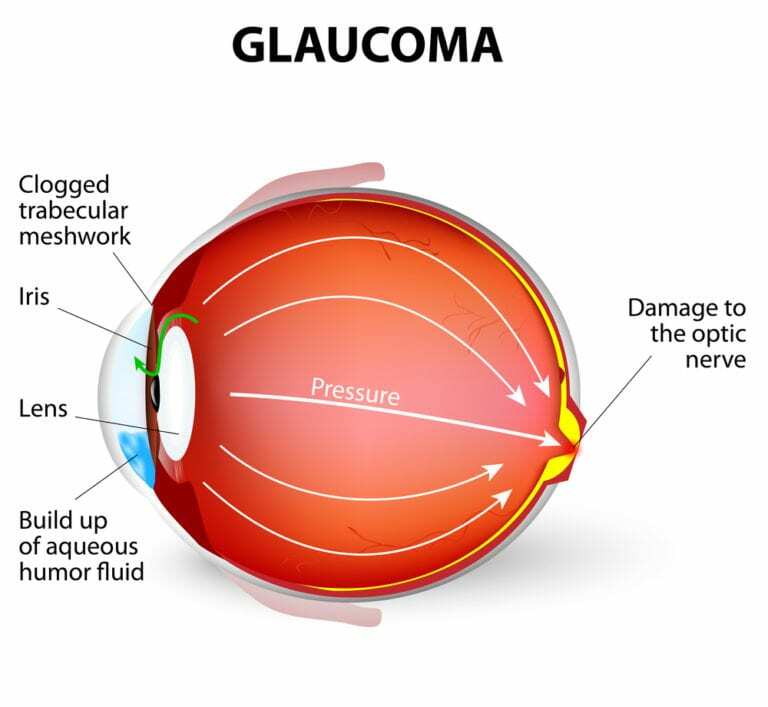 Glaucoma is a term used to refer to a group of eye diseases that ultimately cause damage to the optic nerve. Unfortunately, there is no cure for glaucoma; but there are treatments available to help manage the condition and prevent vision loss. People with glaucoma often experience slow and gradual vision loss that is so subtle, it is virtually undetectable until it reaches advanced stages. Glaucoma often presents no other symptoms than vision loss, which is why it is important to visit an eye doctor periodically for comprehensive eye exams. As the disease progresses, it can eye pain and nausea, as well as total vision loss. that glaucoma is a leading cause of blindness in the United States? It accounts for approximately 10 percent of all cases of total vision loss – some who lose their vision despite seeking treatment. The disease can strike anyone at any time, from birth to old age. More than 2 million Americans are believed to live with glaucoma, of who only 50 percent have received a diagnosis. Should I see an eye doctor about glaucoma testing? Treatment for glaucoma depends on the severity of the disease. If your [city] eye doctor diagnoses you with the disease, you may begin with a conservative treatment regimen of medicated eye drops or medications that help reduce pressure in your eye. If these types of treatments are ineffective, your [city] eye doctor may recommend a more aggressive treatment plan that includes a surgery to relieve excess fluids from the eye. If you are taking medications or eye drops to alleviate pressure in your eyes, it is important that you do so according to your eye doctor’s instructions. If you undergo surgical treatment for glaucoma, you will need to adhere to a strict set of post-operative instructions in the days and weeks after your procedure. For example, you will need to wear an eye patch for the first 24 hours after your procedure, and avoid getting water or other substances in your eyes. You’ll also be told to avoid straining your eyes, refrain from strenuous activity, and wear an eye shield at night during the first several weeks after your procedure. Expect to feel some increased sensitivity in your eye, as well as a ‘scratchy’ sensation.